Heat is about to break its first work in support of the Levi's brand partnership with its new namesake stadium, an account that the San Francisco shop landed after a review. Levi's marketing for the stadium campaign will include print, digital, radio and outdoor ads, events and social media marketing. Most of it will break around the time of the San Francisco 49ers' home opener on Sept. 14, though an event will take place three days earlier at a fan rally in San Francisco's Levi’s Plaza. Heat president John Elder said the effort aimed to capture some of the key elements of football, including the "emotional highs of the touchdowns, the chants, the trash talk [and] the tailgate." 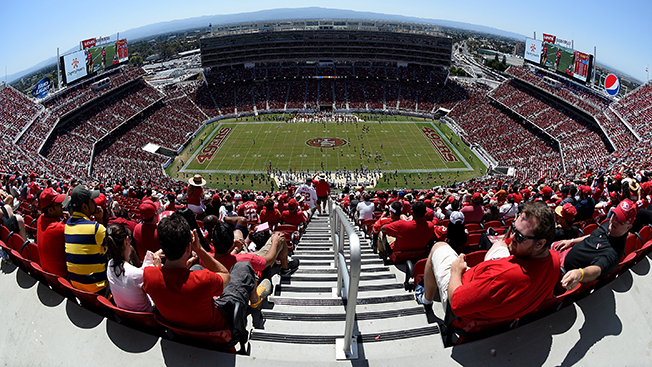 Levi’s Stadium held its grand opening in July after more than two years of construction. Built to replace Candlestick Park as the 49ers' chief stomping ground, the new 68,983-capacity stadium is named after San Francisco-based Levi Strauss & Co., which purchased the naming rights last year for more than $200 million.